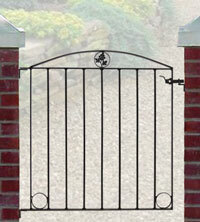 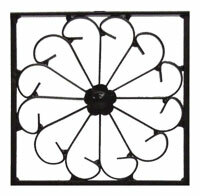 We manufacturer a standard range of metal garden gates or to your design if required. 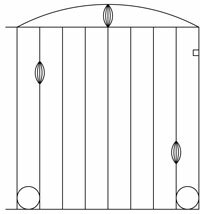 The standard range of gates can be hung as a left or right opening gate to your choice and comes complete with all fittings, screws, bolts & plastic wall plugs, there is an integral lock fitting so the gate can be padlocked if required. 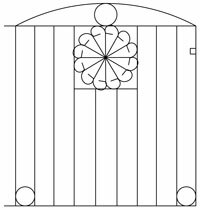 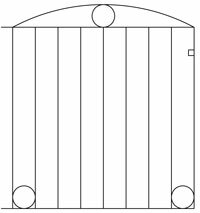 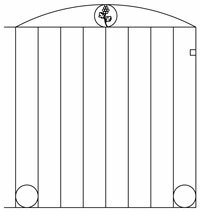 Supplied with the gate is a full and detailed set of fitting instructions and a premeasured strip of MDF so that the hinges can be drilled and fitted both accurately and quickly with no fuss. 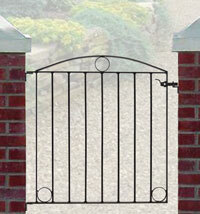 All these gates are checked at every stage of production and finally hand finished to remove any sharp edges. 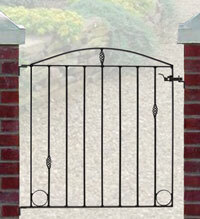 All our gates are powder coated as standard. 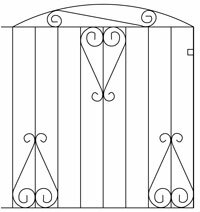 The gates actual size is 900mm high by 855mm wide, and is designed to fit into an opening width of between 930mm up to 980mm. 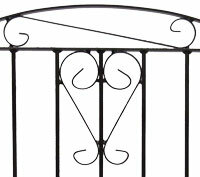 It is constructed from heavy gauge steel using the following steel sizes.